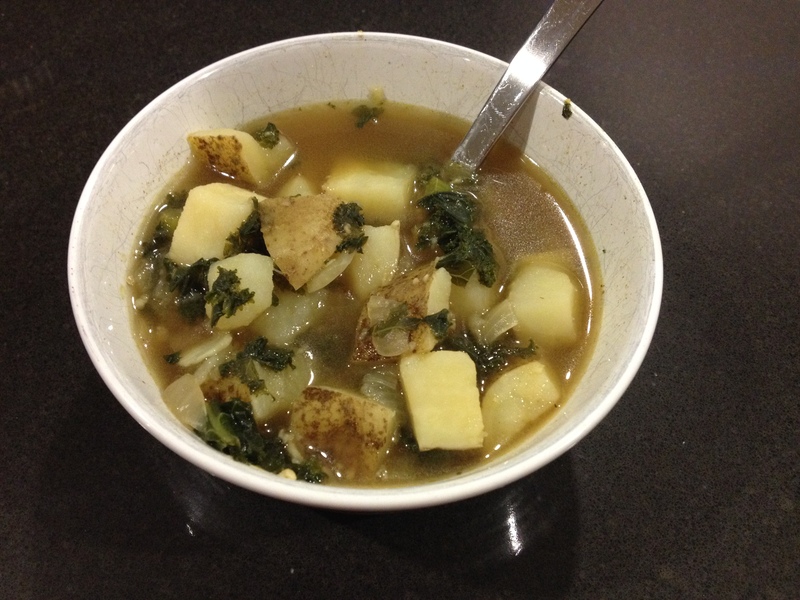 I made a fast garlic and kale soup tonight for dinner. I pretty much used this recipe, but used potatoes instead of wheat berries, and didn’t add any mushrooms. It really needs mushrooms, if I ever make this again.